London Stansted provides ample car parking amenities that include short-stay parking nearby the airport terminal and long-stay options located a little further away. There are sufficient designated parking spaces for disabled drivers, while chauffeured parking options are available as well. an amenity for car owners wishing to store their vehicles for only a short time is available adjacent to the terminal. The first 15 minutes of parking are free of charge, after which fees are levied hourly. a parking lot for drivers wishing to park their cars for five or more days is positioned away from the airport building and linked via a free shuttle service (tel: +44 121 410 5228). the Meet and Greet service at Stansted Airport operates the valet parking amenity. This convenient service can be pre-booked online as well as on-the-spot. A staff member will meet arriving drivers outside the terminal building and drive their cars to a well-secured compound where their vehicles will be safely parked. 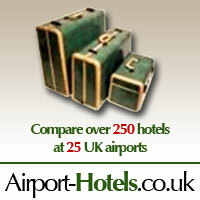 Customers' cars will be returned once they've returned at the airport (tel: +44 870 733 0778). conveniently positioned dedicated parking spaces for physically disabled drivers can be found in the long-duration facility as well as in the short-duration car park. Those travellers wishing to use the specially designated spaces should hold a relevant disabled drivers' badge. 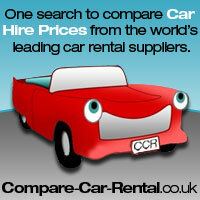 since Stansted Airport is a busy travel hub, the demand for car rental at the aviation facility is rather high. Conveniently, car hire demands are well met with a number of internationally reputed car hire agencies including: National, Hertz, Europcar, Budget, Avis and Alamo. The counters of Stansted Airport's car rental firms can be found positioned between the International Arrivals and Departures concourses.